Over on Making A Mark, my Garden in Art project continues - with a new focus on Monet. However this post focuses on Monet's Sketchbooks and includes a summary of the way in which Monet used his sketchbooks. I'd be interested to know how many people recognise his way of working. The sketchbooks are part of an exhibition which I saw in London at the Royal Academy and which has now moved to the Clark Art Insititute in Massachusetts . All the sketchbook images for this post come through the link to the sketchbooks online. An earlier drawing by Monet from the National Gallery of Art in Washington can be seen above. THIS UNPRECEDENTED EXHIBITION challenges the conventional, long-held understanding of Claude Monet's artistic process and life. Drawing upon recently discovered documents and a body of graphic work largely unknown to the public and scholars alike, the exhibition reveals that Monet (1840–1926) relied extensively upon drafting in the development of his paintings in addition to painting his subjects directly. This is the link to Monet's Sketchbooks from the Musee Marmottan in Paris which currently form part of the "Unknown Monet" exhibition at the Stirling and Francine Clark Art Institute in Williamstown MA (which finishes on Sunday 16th September). The complete contents of these books—some three hundred drawings—have been newly photographed for inclusion in the accompanying interactive application. This digital presentation of Monet's sketchbooks gives unprecedented public access to works that are among his least refined yet some of his most intimate artistic utterances. I saw this exhibition earlier this year when it was at the Royal Academy (see this post) - but despite two visits was unable to see the sketchbooks on the viewers in the exhibition - so I'm now especially pleased to be able to see them as they appear in the sketchbooks. A well researched and comprehensive catalogue is also available for the exhibition - The Unknown Monet: Pastels and Drawings (Clark Art Institute) The authors are James A Ganz and Richard Kendall and the book has been published by Yale University Press 2007. James A. Ganz is curator of prints, drawings, and photographs, and Richard Kendall is curator at large. Both work for the Sterling and Francine Clark Art Institute. The sketchbooks normally form part of the collection of the Musee Marmottan - they were bequeathed to his son Michel (who appears in some of the drawings) who left them to the Marmottan. As the sketchbook site on the Musee website links to the Clark website, I'm wondering whether there may only 10 days left to look at them or whether this hugely informative resource will be available in the future. The credits indicate that the online version was a project undertaken by people from the Clark Art Institute with the co-operation of the Musee Marmottan and the Bridgeman Art Library. Many congratulations to all involved. 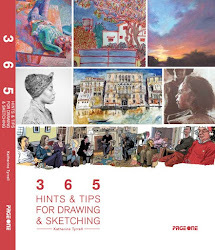 This is a very worthy project of huge significance to those interested in Monet and all of us interested in how artists use sketchbooks generally and especially on their travels. Chapter 7 of the book produced for the exhibition reproduces a number of the sketches - but as anybody who uses sketchbooks will know, it's the act of looking at somebody's sketchbook which is intrinsic to the experience. We want to know how somebody works as well as what marks they make on the paper. This is where the online exhibition scores so significantly with me. This is my summary of what has been gleaned about how Monet used sketchbooks. My source is Chapter 7 of the publication produced to accompany the exhibition. jot down visual ideas for exploratory purposes - both at home, Paris and other parts of France and abroad. 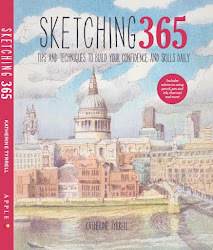 It's suggested that he used to scout locations and that some are records of potential sites for future places to paint - the sketchbooks cover a large number of locations. record 'stock' images - for example of craft on the water or turkeys and ducks (which are, of course, forever changing position). A few of the sketches are obviously sequential and have a time lapse effect. relatively few annotations. Examples include notes about expenses, plant names in Latin and mailing addresses. almost no color notes. However he does record the time of day of the sketch. Sketches are not sequential - Monet seems to have opened sketchbooks at random. Some have been worked from the front and some from the back and not all the drawings are the same way up. He recycled - late drawings have been worked on over earlier sketches. The sketchbooks are landscape format - but many of the drawings are vertical (portrait format). The Marmottan sketchbooks tend to have medium thickness, neutral cream coloured paper - some are laid and some are wove. They have pages which are left blank and pages have been removed. The sketchbooks have been catalogued by Wildenstein - who assigned numbers to the drawings and sketches. However there is evidence that sketchbooks were used at different times so the order is not chronological. 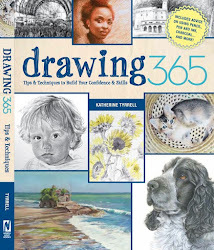 The authors of the book conclude - and I agree - that many of his sketchbooks have been lost. The book observes how different the practices of individual painters are in relation to the keeping of sketchbooks. As we well know this continues to this day! What I find interesting is that, apart from the few beautiful drawings of his children, I look at Monet's sketchbook drawings and would have no difficulty at all in characterising them as being what I would call the 'large thumbnail' variety. I have very many similar sketches in my own sketchbooks - and I've seen lots of similar work in other people's sketchbooks. Sometimes sketches are value based. Most often it's about finding the edges of the composition while working plein air and the relative positions and edges of the shapes of subject matter within your view - the old challenge of working out what can you fit in and what actually looks best. They are the sort of sketches I do while looking at a subject prior to developing a more finished drawing or sketch - they are the records of me trying to work out what to do. They look very scrappy. They aren't meant for public show. My guess is that Monet would have said much the same thing. I do sincerely hope that some arrangement will be made so that these sketchbooks can stay online after the exhibition finishes or become available on a CD or DVD. It's a real privilege to be able to see them in the current online presentation. James A Ganz and Richard Kendall The Unknown Monet: Pastels and Drawings (Clark Art Institute) and it's published by Yale University Press 2007. Katherine, I've been enjoying your blogs lately- my favorite is your Travels with series. I followed your link to the Monet sketchbooks today, and found it interesting that the museum has all the pages in the first sketchbook posted upside down! I didn't check on the others. Very disappointing. Leslie - actually what I think they're doing is showing you what the sketchbook actually looks like. 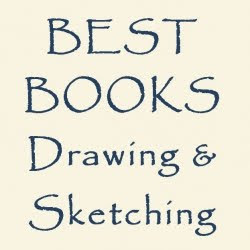 Quite a few of us have drawn in our sketchbooks the wrong way because we picked it up the wrong way round. It's quite a common mistake. You can also use the rotate icon down at the bottom to turn the sketchbook round so you can see the sktches properly. I spent some time trying to look at them upside down before I discovered that!! !